If I haven't completed my KYC, can I trade ? My account has been deactivated. What should I do? Can I send Ether to an Ethereum smart contract? Can I receive Ether sent from smart contracts? Why is my THB withdrawal status "Complete" but I haven't received my money? Can I still cancel my order after it has been matched ? How do I increase my daily deposit/withdrawal limits ? No, you cannot. 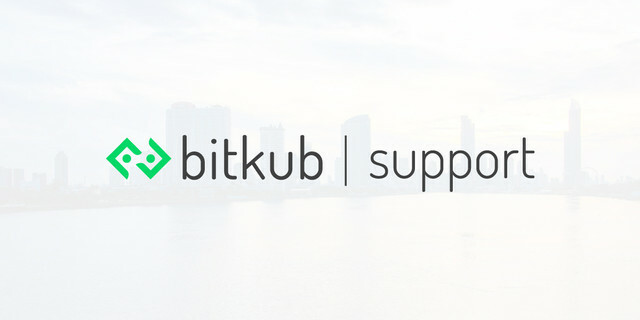 If you register without verifying your identity, Bitkub will not allow you to deposit THB and will not generate your coin wallets. All users must comply with our User Agreement policy for your own safety precautions. Remember, verifying your identity is simple! You just need your national identity card or your passport. Please visit our guidelines to verify your identity below! Please seek assistance by any means below. What happens if my withdrawal request expires?